Investigators from the Organization for the Prohibition of Chemical Weapons (OPCW) were expected to arrive Sunday in the former rebel city of Duma, near Damascus, to investigate the alleged chemical attack that triggered Western strikes against the Al Assad regime. The fact-finding mission arrived in Damascus Saturday and it is expected to begin its work in Duma, Sunday, Syrian Deputy Minister of Foreign Affairs, Ayman Soussane, told AFP. The statement came a day after the Syrian regime announced it recovered all rebel areas of eastern Ghouta after the evacuation of the last rebel fighters from Duma. “We will let the team do their job professionally, objectively, impartially and away from any pressure (from the authorities).” The results of the investigation will invalidate the false allegations “against Damascus,” the Syrian official added. 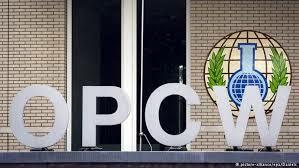 On Saturday, the Hague-based OPCW said its Fact-Finding Mission (FFM) team will continue its deployment to Syria to establish facts around the allegations of chemical weapons use in Douma, despite air strikes by the United States, France and Britain. The OPCW has been working in close collaboration with the United Nations Department of Safety and Security to assess the situation and ensure the safety of the team, the OPCW said in a statement. On the night of Friday to Saturday, a US, French and British military operation was conducted against the regime of Bashar al-Assad, in retaliation for the alleged use of chemical illegal weapons. The United States and France have claimed in recent days to have evidence that chlorine but also sarin gas were used by the Syrian regime during the chemical attack. The Western strikes have particularly targeted storage facilities and a chemical research center, according to the United States. Damascus, supported by its Russian ally, has denied using chemical weapons and accuses the rebels of “fabrications” about the attack in Duma. Posted by Jaber Ali on Apr 15 2018. Filed under Headlines, World News. You can follow any responses to this entry through the RSS 2.0. Both comments and pings are currently closed.